When was the last time you surprise your loved ones? Recently, Korean car maker Hyundai created buzz online. A mini space movie made by Innocean Worldwide, and the auto maker found a 13-year-old girl from Houston whose father is an astronaut. He's away a lot, and she misses his daughter. They orchestrated a surprise for the girl’s dad. 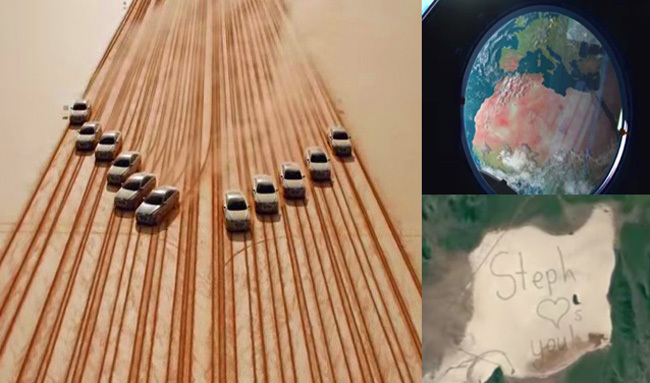 Numerous Hyundai Genesis sedans write a giant version of her message of love, in her own handwriting which was down across Nevada's Delamar Dry Lake. The aim of this is to see it from the International Space Station. It was certified by Guinness World Records as the largest tire track image ever made. Though Hyundai doesn't want to hard-sell their brand but the vehicles speak for themselves. According to Scott Noh, head of the overseas marketing group for Hyundai Motor Company says the video is mostly about "demonstrating our caring vision to our customers."